With a lot of hours and hard work I am fortunate to be able to follow my passion and love my job! 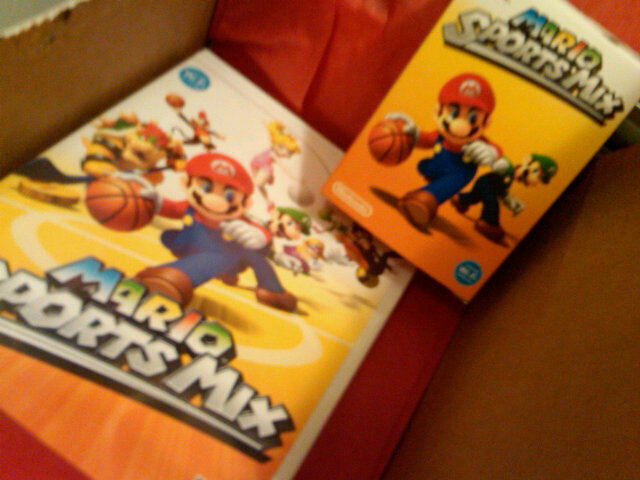 And as a bonus there are some really cool perks too! One of the best is Nintendo prizes via mail. 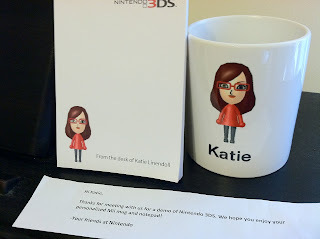 Example, had an exclusive hands on with Nintendo 3DS a few weeks back. At the meeting I created my own custom Mii character on a console using the 3DS front facing camera - (more personalized Mii avatars working off of your very own photo are an upgraded feature in the 3DS) Next thing you know this gem came in the mail from my very own creation. 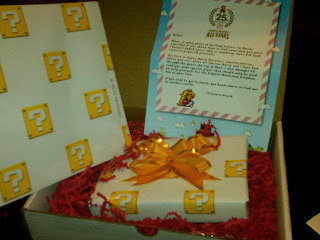 I've also attached some pics of other past wins that I thought would be fun to share - including Mario Sports Mix with a mini Mario cereal box and my all-time favorite Super Mario All Stars with wrapping paper (came around Christmas) and a letter from the Princess letting me know that she is in another castle. Instant classic. Of course no amount of swag could put words in to my mouth but it is a lot of fun to see a company that has a cool and smart approach! So jealous... I just know that coffee mug will appear in one of your on-air segments!